If you think of dolls houses as usually being period houses, it's time to think again! In this amazing compendium of miniature buildings, author Sarah Walkley looks at the many other styles of construction that are increasingly being created by miniatures enthusiasts including cozy cottages, modern loft apartments, churches, garden sheds, lighthouses and windmills. The World of Miniatures even delves into the fantasy world of witches' lairs, haunted houses and burrows for mice and bears. 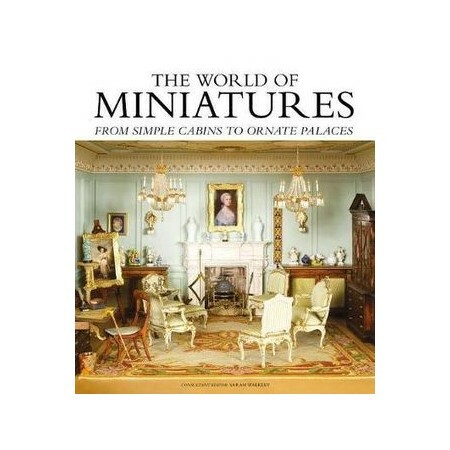 Drawn from the wealth of interesting and unusual models that have been featured in Dolls' House Magazine over more than five years, it showcases the best examples of the dolls' house hobby to demonstrate what can be achieved when working in miniature. It aims to provide inspiration to those that are new to the hobby, or want to take their model-making a stage further, as well as being a delightful read for those who are simply fascinated by all things miniature. Each of the 12 chapters will be accompanied by tips on the key techniques needed to recreate a particular style of property. This will include, for example, how to lay wooden floors or work with molding to create a grand country estate, or how to install lighting in a lighthouse. Focuses on the miniatures that are currently being made by enthusiasts and professional model makers. Covers all forms of models from traditional houses, to shops, coastal properties, garden sheds and fairly tale castles. Provides advice on key model-making techniques that can be applied to any property, rather than providing instructions on how to make a specific project.